“That moment became the point we decided to put all of this passion into doing something together. We wanted to create a space where people can come and learn to cook or prepare meals with their families in an inspiring environment. The A Perfect Bite Cook Studio is a space dedicated to the love and appreciation food and cooking. The studio promotes exciting food, culinary events, cooking demonstrations and ‘Cookalong’ workshops, to create an environment that makes for a memorable food experience”, says APB Cook Studio Founder Rushina Munshaw Ghildiyal. Situated in Mumbai, the APB Cook Studio is a state-of-the-art ‘home kitchen’, stocked with high quality equipment, fine ingredients, and everything a cook could ask for in a dream kitchen. 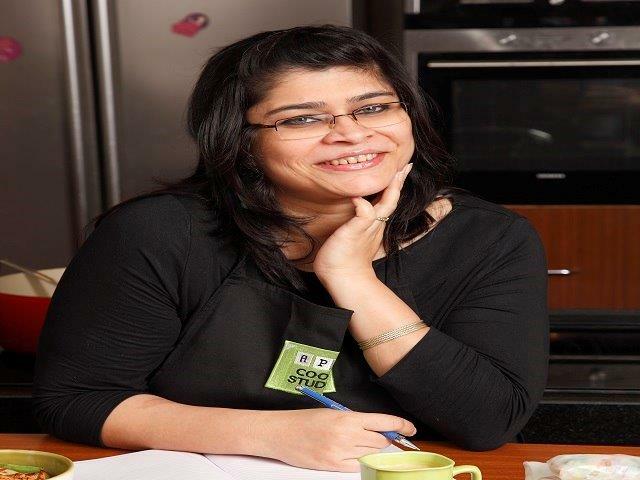 I am a corporate food consultant, food writer, food stylist and author with more than 10 years of experience in the Indian food industry. I began my food career in 2004, as one of India’s pioneering food bloggers, at a time when the genre was relatively unknown. My blog became one of the most popular food blogs in India, and grew into A Perfect Bite® Consulting, a premier food consulting firm I began in 2009. In 2012, I launched India’s first home cooking studio – the APB Cook Studio® with the aim to inspire food-lovers to explore and expand their worldview of food through various initiatives. My first book, A Pinch of This, A Handful of That, launched in December 2013 and went on to win the World Gourmand awards. During the initial days, when I started out 15 years ago, food writing or consulting did not exist as a clear occupational choice. Those terms are all new. I had to learn the technical aspect of blogging; posting, increasing SEOs, ensuring copyright was protected, etc. Initially writing about food was confined to women’s magazines and that too only recipes were published. As the mainstream media warmed up to food journalism, I began to get more and more offers to write. However, a lot of times, they were limited to restaurant reviews and recipes. And when I did write a good article, I would have to chase them to publish it or worse still, pay me. Another challenge was the lack of quality ingredients unlike now. Back then, if I wanted anything, I would have to pester friends or relatives to obtain it for me. But all these challenges really reinforced my confidence in my vocation. I went through the struggles and I learnt from them. I discovered food writing while on a sabbatical after I had my first child. It was at this time when I was looking for information (on pickles, I think) that I discovered a site that was home to people who reveled in food. I spent weeks dithering around, lurking through its forums, scribbling a line or two here and there until I finally worked up the courage to put up an essay on Uttarakhandi Cuisine. The cuisine in question being unknown, my post got a lot of attention and my inherent talent for research and writing must have come through because I got a lot of praise. I was approached to consult with a food consortium from Italy. It brought new opportunities and I set up A Perfect Bite Consulting with an aim to share my love for food. From modest beginnings, out of a studio office in my home and providing food focused editorial content to a variety of reputed international print and digital publications, we today provide consulting services to companies in the F&B and Horeca sectors (food importers, suppliers, retailers, and restaurants) to help them connect with their customers. And after being around for 4 years, it is still a thrill to see the joy on people’s faces when they learn something new. In the next three years my bucket list involves taking things further in several directions. In the area of curator of culinary experiences we have a lot planned. We will introduce a different take on our APB Culinary Legacy Series of events where we have been featuring regional Indian cuisine for almost 2 years now. Another ongoing project that is going to get more exciting in 2017 is the APB Food Book Club. This is India’s first food book club launched in November last year. We have fabulous plans for 2017 including a Food Literature Fest (India’s first ever). For almost 2 years now I have been working with a group of kids from Teach for India and there is a fundraiser planned with them. So there are a lot of pots simmering away at the moment! Every day brings new discoveries and memories. The day I got the key to the studio (Shekhar tied it to my APB Cook Studio visiting card with a green ribbon and gifted it to me); the moment when we first saw our studio all ready waiting to fill up with people, food aromas and memories; every recipe that is a success, every dream that has come through; when my book ‘A Pinch of This, A Handful of That’ won the Best Blogger Book (India) category of the World Gourmand Awards – all of the add up to the moments of reckoning. Every person that came to the studio fell in love and came back again and again. This is my greatest Poonji!